What is the Difference Between Residence Permit and Citizenship in Turkey? There are two important procedures for foreigners who wish to relocate to Turkey. One of these is the acquisition of residence permit, the other is the acquisition of Turkish citizenship. Legally, it is not possible for you to reside in Turkey without a residence permit. Without getting a Turkish citizenship, you will not be able to benefit from the rights Republic of Turkey is offering. If you wish to live in Turkey, to have Turkish residence permit and Turkish citizenship provides you with lots of conveniences. As it is a country in the European Union accession process, Republic of Turkey’s passport grants access to 110 countries when acquired. Once Turkey is one of the European Union countries, you also get to travel to European countries visa free. Turkish citizenship, has been more in demand than ever by foreigners as a result of the advantages it offers. Keep reading our article in order to get detailed information about citizenship right and residence permit that have become a necessity for foreigners who wish to reside in Turkey. Residence Permit is a document necessary for foreigners to reside in Turkey who decide to relocate to Turkey. Today, foreigners can get residence permits up to 2 years even if they apply for short term. There are some criteria foreigners who wish to get a residence permit should comply with. Criteria and residence permit may differ according to the foreigners application type. Below are the documents for the applicants to have with them while applying to residence permit. Extra documents may be needed according to the application type. -Biometric photograph with a white background, taken within the last 6 months. -A translation approved by the official authorities is necessary if the passport is written in another alphabet. Type of residence permit given to foreigners visiting the country, for the time span requested and only if they declare what their purpose of visit is. Maximum time span is 2 years. It is generally seen as the touristic residence permit. Type of residence permit foreign students who are studying in departments related to higher education in Turkey should acquire. Type of residence permit that can only be acquired by foreigners who have lived in the country continuosly and legally for 8 years at least with an approved residence permit. Type of residence permit that should be acquired by the foreigner during the time span they spend being treated in health centers in Turkey. You can also acquire residence permit, which you need to reside legitimately in Turkey during the time span you live in Turkey, with an investment of 50.000 dollars other than an application. Residence permit is an ideal choice if one wants to live in Turkey. However if what you want is residing in Turkey for life, it is wise to remember that your residence permit is going to expire. By getting a Turkish citizenship, you can get the chance to stay in Turkey. Turquoise card provides insurance to qualified non-Turkish citizens who purchase properties in Turkey, who invest in the country and who wish to live in Turkey. As a foreigner who lives in Turkey, you can acquire Turquoise Card by handing necessary documents (ex; documents proving your work, rent or condo fee payments) to specific institutions regularly for 3 years. Thanks to the Turquoise Card system designed to draw qualified investors and quality people (having a certain set of skills on the fields of sports, science or arts) to the country, you can also acquire residence permit in Turkey. However in order for the card holder to apply for citizenship, they will have to spend 5 years in Turkey legitimately. For detailed information about Turquoise Card you can check out our Turquoise Card article. Making at least a 250.000 dollars amount of investment in Turkey, earns one a Turkish citizenship right. Instead of one property that costs 250.000, multiple properties can be purchased so long as they make up the necessary amount. Thanks to the approval received from the ministry citizenship right can be acquired. In order to gain citizenship this way, you are required to have lived in Turkey for 5 year continuously and know Turkish to a necessary extent. In case of the requirements are met, after a general application, citizenship can be acquired. If the person has an immigrancy right or a quality (an extraordinary talent; sports, science, arts) that counts as a plus to the country, they can acquire citizenship with it. Those who have Turquoise Cars also have the right to apply for Turkish citizenship. In case of marrying someone who is a Turkish citizen, you get the chance to become a Turkish citizen. Application can be handed in on the condition of staying married for 3 years at least. In case of a Turkish parent adopting a foreign child, the child is given a citizenship right if it poses no national threat. Those who carry the identity card and passport of Turkish Republic of Northern Cyprus can also acquire the Turkish citizenship right. 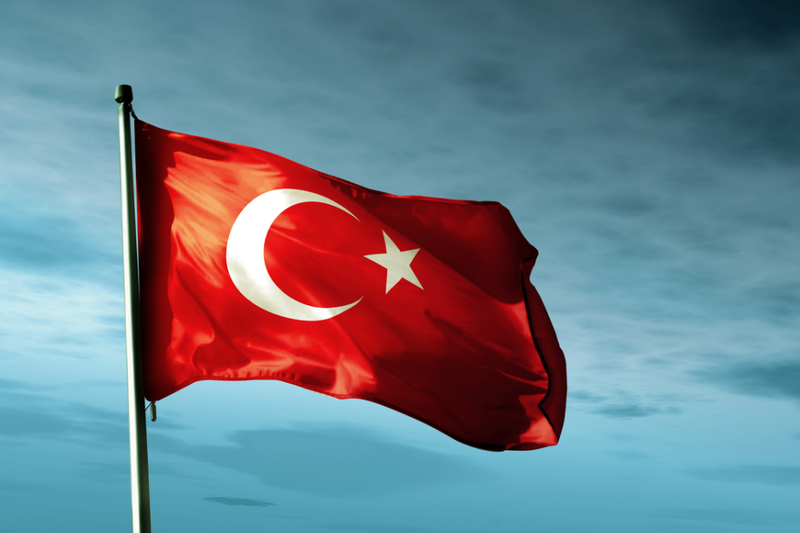 What Happens After I Get Turkish Citizenship? After the acquisition of Turkish citizenship, you would have the right to benefit from all of the advantages Republic of Turkey offers. You would not have issues of residence permit, as after the application that you have made with a short term residence permit concludes, it is now your right to live in Turkey. You would have the same rights as any Turkish citizen has in Turkey. In addition to all that, by having the privileged Turkish passport you can spend time at ease in many countries. These procedures that have many details are tiring and complicated most of the time. That is why it is difficult to handle by the applicant themselves. In such cases it is only sensible to consult with professional companies such as Trem Global. As Trem Global Real Estate Marketing and Consulting Firm, we are here for your every need related to residence permits and Turkish citizenship.